James Franklin had the Hoosiers shaking their heads all night. While they play the game on the field, much can be learned by the numbers after the game. With the game just coming to a close, we take a quick look at the statistics that changed the game in week four against Missouri. The time of possession was quite telling as Missouri controlled the ball for 36:45 compared to just 23:15 for the Hoosiers. After a phenomenal start to the season for the Indiana running game, the Tigers outgained on the ground 280-98. While the 3 interceptions for Nate Sudfeld should obviously be a big concern, the fact that he averaged just 5.9 yards per attempt is truly troubling. That was half of what he averaged on the season heading into week four. Not only did the Hoosiers not execute, they also shot themselves in the foot, committing 8 penalties on the night. Third down efficiency was a big story all night. The Tigers executed half of their 16 opportunities in addition to picking up a first down on their lone attempt on fourth down. Indiana on the other hand were just 5 of 17 on first down and 1 of 2 on fourth. When you don’t move the chains there is no rhythm or continuity on offense. The Hoosiers had 16 drives; none of them lasted for more than 9 plays. Starting field position was a problem all day. Indiana’s average starting position was just inside of their own 23-yard line. They only started one drive outside of their own 30 on the day. On the other hand the Tigers average starting position was just about the 31-yard line, and started four drives from beyond their own 40-yard line. 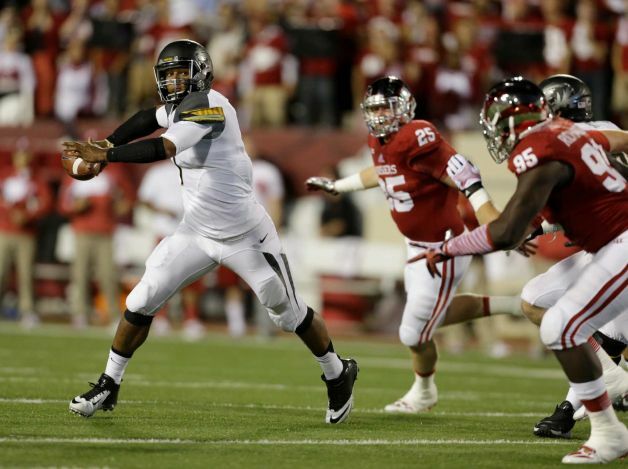 Missouri’s 625 total yards was the most Indiana has ever allowed to an opponent at Memorial stadium. The Hoosiers punted 9 times tonight, they had punted just 5 times in the previous 5 games. Cody Latimer missed back-to-back career high performances by just a single yard. Greg Heban had 2 interceptions on the night bringing his career total up to 8. The Hoosiers drop to 2-2 with the close of their non-conference slate. Indiana has 14 days to rally the troops before their next game when they kick the Big Ten season off against Penn State.